Mass Motion Dance (MMD) was founded in Sturbridge, Massachusetts in 1983, under the direction of Terri Gordon, MMD has proven its excellence in dance training. Ms. Gordon, a former member of the Boston Ballet Company and Tanz Forum, the modern dance company of Cologne, Germany, is passionate and driven to develop each student’s technique to its highest level. In 2003, MMD proudly announced the opening of the Boston studio under the direction of Irada Djelassi. In 2017, MMD Metro West opened its doors in Medfield, MA under the direction and ownership of Irada Djelassi and Alexis Stansky Murphy. At Mass Motion Dance we place our goals, values and focus on the art of dance and all that it offers the dance student. The arts offers us, as a community, the opportunity for expression and a unique insight into the beauty of the world around us. Dancer is one of the more challenging of the arts as it involves our total physical and mental commitment, challenges us in a way that is both exhilarating and exhausting. Meeting these demands teaches the dance student many lessons and leads them down a path of self-discovery. In a world of technology and instant gratification, dance reminds the student tat great accomplishments require time, patience, courage and faith. Dancers must constantly reaffirm their commitment to themselves and their art. The struggle is real, but the rewards are profound. Whether as a dance student or a dance enthusiast, the enrichment dance brings into our lives is what revitalizes our love and commitment to the wonderful art of dance. Whether a student’s goal is fitness and recreation or a future career in dance, at MMD dancers will find classes that fit their objective as well as their schedule. Students may choose from a broad range of dance idioms such as ballet, modern, tap, contemporary, jazz, hip hop, Irish step and more. MMD strives to teach the strongest technique to each student, in a positive setting, allowing each dancer to find their passion for the art and sport of dance. With three locations and over 35 years of experience it is easy to see how students develop into enthusiastic, passionate and powerful dancers. Qualified professional MMD Faculty is dedicated to ensuring proper training in a positive and personal learning environment. MMD Faculty works as a team and takes great pride in their commitment to providing an unparalleled dance education to each and every student. The highly qualified staff of professionals at MMD has extensive teaching and training backgrounds. Each location produces an end of year production in the month of June. Mass Motion has become highly recognized and respected for the musical style recital we present. This is not your average dance recital! Dance is a performing art and participation in the recital offers students the opportunity to experience the performance aspect of their training, while at the same time demonstrate their progress to friends and family in the audience. Participation in the annual recital is not mandatory but highly recommended. Mass Motion Dance produces an annual holiday performance with students in intensive study programs. In 2016 Mass Motion Dance presented it’s own version of the holiday classic The Nutcracker. Maintaining our studio goal of celebrating the many forms of dance, while staying true to the story line, our Nutcracker displaces elements of Classical Ballet, Modern, Contemporary, Hip Hop, Acro and more! While we do enjoy participating in some of the dance worlds more competitive opportunities, at MMD we remain focused on our unique role as artists in our community. We bring dance into our communities through our student performing groups. These dedicated students perform at fund raising events, nursing home facilities, hospitals and other community venues. Audiences and performers alike are rewarded by these events. Our community service work brings dance into its true function in our lives. The Dance Project at Mass Motion Dance Boston and The Dance Ensemble at Mass Motion Dance Sturbridge are pre-professional teen groups committed to offering professional training and preparation to dancers interested in pursuing a career in dance. These groups are dedicated to sharing the art of dance to a wide variety of local venues, offering students the opportunity to take their dance training outside of the classroom by performing throughout the community. Teen dancers are also offered the opportunity to fill some of their community service requirements through the art of dance. Each year TDP and TDE produce a concert style performance in addition to the studio’s regular winter show and spring recital. These dancers are also eligible to attend dance competitions and conventions. At Mass Motion Dance we place our goals, values and focus on the art of dance and all that it offers the dance student. All of the arts offer us an opportunity for expression and a unique insight into the beauty of the world around us. Dance is one of the more challenging of the arts as it involves our total physical and mental commitment, challenging dancers in a way that is both exhilarating and exhausting. Meeting these demands teaches the dance student many lessons and leads us down the path of self-discovery. In a world of technology and instant gratification, dance reminds the student that great accomplishments require time, patience, courage and faith! Dancers must constantly reaffirm their commitment to themselves and their art. The struggle is real, but the rewards are profound. Whether as a dance student, a dance teacher or a dance enthusiast, the enrichment dance brings into our lives is what revitalizes our love and commitment to this beautiful art. At MMD we are always looking to broaden our dance experience by studying with a wide variety of dance professionals. During our regular September through June season and during our Intensive summer camps, we bring in as many dance specialists as possible, offering our students the opportunity to experience dance styles and techniques from around the world, whether formal or informal. Folk dance, martial arts, ethnic dance, ballroom are just a few of the dance styles we have added to our traditional dance studies. Mass Motion Dance offers serious students and their families a variety of opportunities for financial assistance. Our student work study program offers financial aid while providing a unique opportunity for the dance student to learn the fundamentals of dance instruction from beginner through advanced level training. Work study students assist the head instructors and are able to develope many valuable skills: the responsibility of meeting the requirements of a job commitment; learning to work with children (ages 2.5 & up); presenting themselves as role models; and many more. 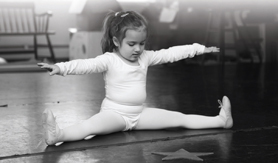 Mass Motion Dance has developed and maintained a dance study program of the highest quality for over 35 years. MMD Alumni are participating in the professional dance world as teachers, performers, professors, and enthusiasts all over the United States and beyond. We are proud of the reputation we have established and remain committed to our art through the years ahead.